The first Sunday in February is here and, I have to say, the week gone by has been a bit of a cold, rainy and 'bleugh' kind of week. I am so ready for spring time now and have started to bring little pots of hyacinths into the cottage and pop them on the windowsills to remind me of the hope that there will be sun! The picture above proves that the sun is still up there (! 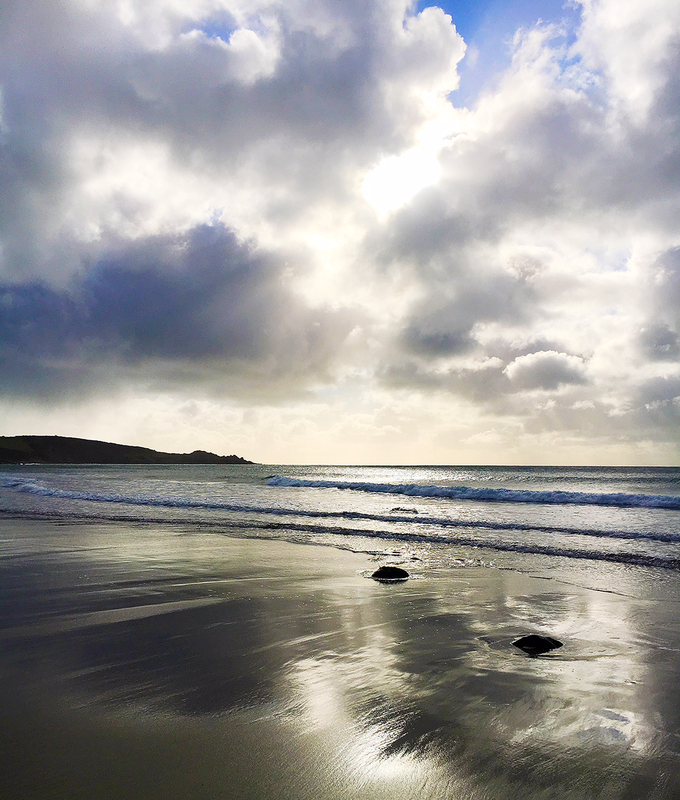 ), I took this yesterday on a little beach walk, in-between rain showers (icy rain showers at that!). How has your week been? Has anyone planned any holidays or trips recently? Let me know in the comments so I can live my holiday life through you! On to todays gratitude list! :: I bit the bullet and sent two cards over to the printers this week; they should be up in the shop in the next few days! 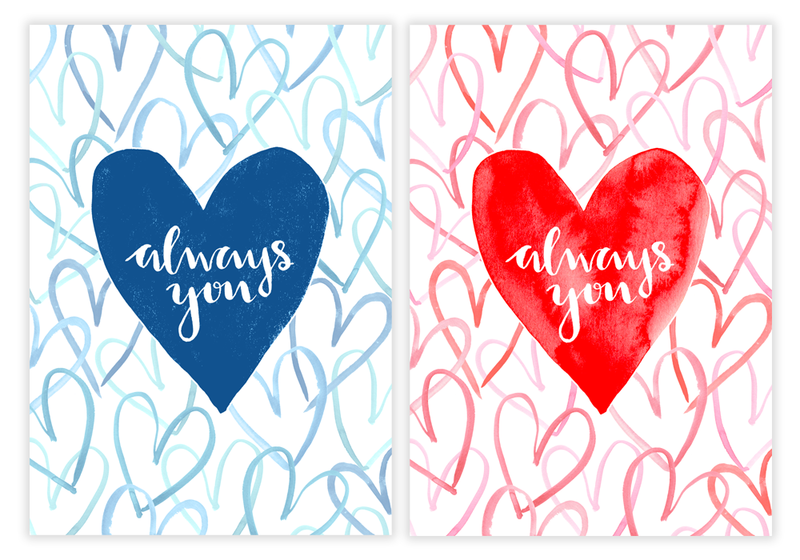 The 'Always You' cards are the first things to be released from my new 'Love Hearts' collection and would be perfect for Valentines but also anniversaries or 'just because I love you' (the best cards to recieve in my humble opinion!). I put a couple of different designs to the vote on my Instagram and went with the one that was the clear winner on each colour way! I am currently designing more greetings cards and have so many other ideas so watch this space! :: Yesterday morning we had the most gorgeous birds in the garden, which we haven't seen in our garden at all, even though I know many other people get them, the Goldfinch! It is so beautiful and bright. I do love the birds being in the garden, even the very naughty crows who devour the fat-balls in what seems like ten seconds! :: This week I had a few challenges to over come with my anxiety; things that are just every day life and probably pretty simple for most people, but test me out massively day to day, but I am pleased to say that I smashed them all. 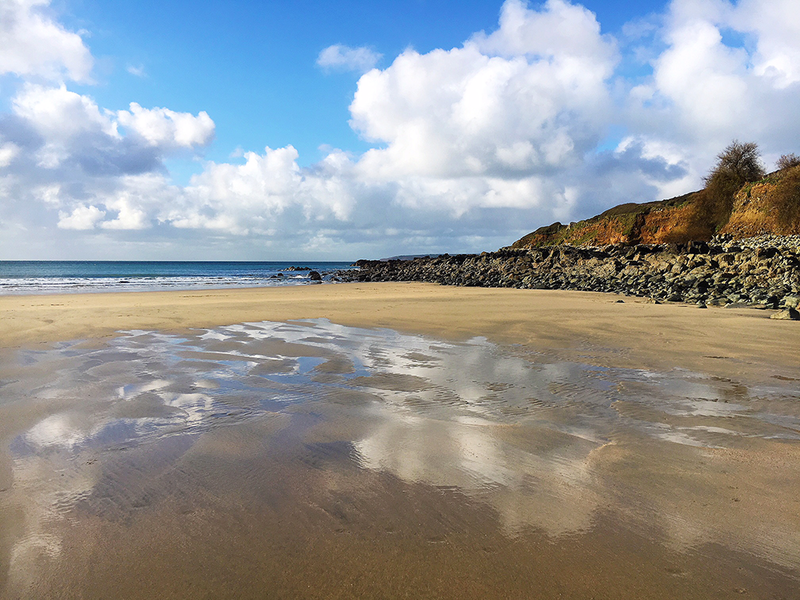 I have picked up a few hours work on a casual basis in Penzance for the next week and, for me, finding somewhere to park the car and then walk down a busy street are both very stressful things (I know that sounds crazy!). On Friday I got up at 5.30, went to the gym early and got a training session in, headed to Penzance for work at 9 and had to park the car quite a way from where I was working. I walked in during the school rush-hour, past intimidating groups of kids and parents in a rush and, I am happy to report that I am still alive! 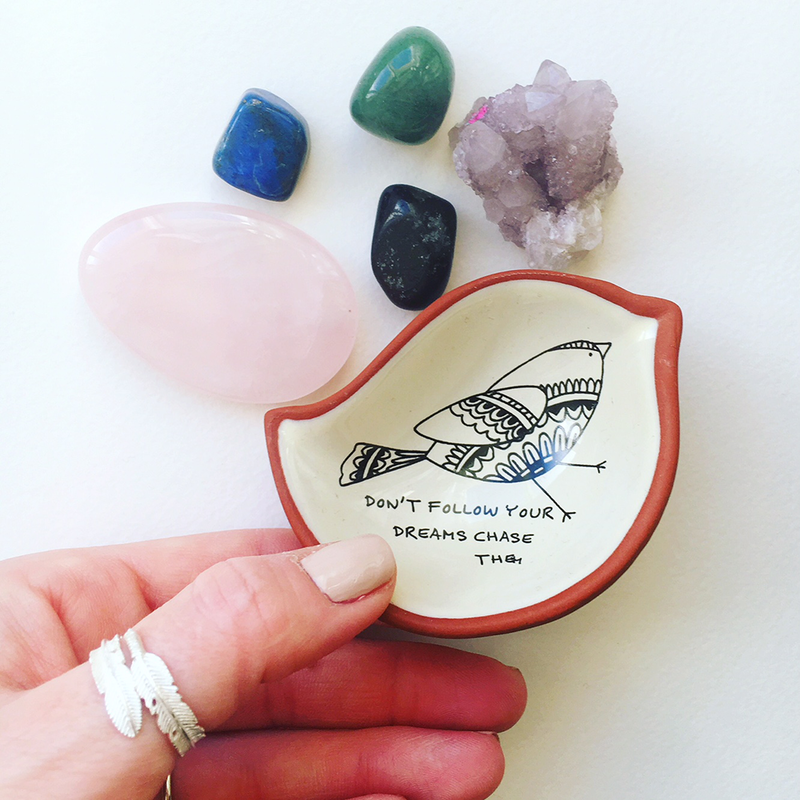 Lucy 1 - anxiety nil! On the subject of mental health, I put a post up for 'Time to Talk Day', which was on Thursday, if you missed it click right here to check it out. I would love it if you could share it on social media too as it is so important to help spread the word on mental health. :: I got really stuck into some painting this week and have been designing little watercolour flowers for a new wedding card coming out. I want to get a couple of general 'congratulations' cards up in my shop so am striving to get that finished soon. I also released a new print this week, a little A5 quote, originally from a watercolour piece. It is now available to buy, so head on over to Leaf Lane Studio to see it and get your copy (free UK delivery!). 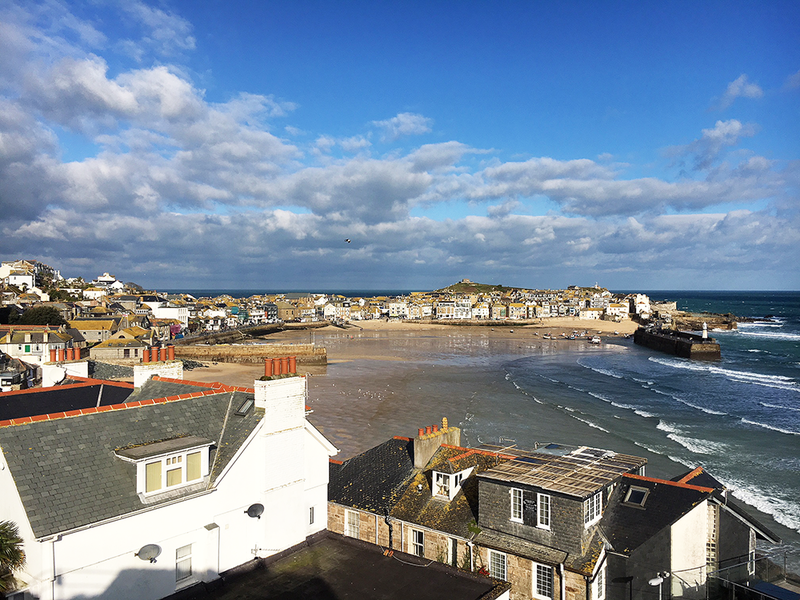 :: This morning we took a walk into St Ives and, for the first time in ages, it didn't rain (woo-hoo!). I had a specific, crystal-related mission, in the gorgeous Emjems, on St Andrews Street. I absolutely love it in there and could easily kill hours looking at everything and just wandering about. I leave feeling calm and rested every single time. St Ives looked so beautiful in the bright sunshine and I took advantage of the weather and took a heap of photographs for a little project I want to start soon (more to come on that!). :: Did you guys see the super-moon this week? I was so grateful for a clear sky and went out to have a look at the stars and the huge, bright moon too, it was absolutely stunning. I forget which morning it was but, on my way to the gym at 6.30am this week, I saw the moon really low in the sky, just disappearing behind the hills in the distance, and it was bright orange and looked gorgeous. It's times like that which I crave a really good camera! :: Yesterday afternoon, I was feeling beyond exhausted. My emotions were all over the shop and my body just felt like it had been run over, so I took myself off to bed for what was going to be a half an hour power nap! (You know where this is going don't you?!). I got into bed and it just felt like the most wonderful feeling ever! The bed felt like it was giving me a giant hug, so I figured it wanted me to stay there for ages... so I did! That two hour 'nap' restored my brain to (almost) normal and I felt so much more myself again for it! Highly recommend! :: I'm going to end with a couple of Netflix recommendations that I think you may like! Last night I watched two documentaries; one called 'Patient 17', a short film about a surgeon who removed devices from people who claim to have been abducted by aliens and implanted with something they cannot explain. It was interesting but didn't answer too many questions, but if you are into that sort of thing then I would say give it a shot! The other one was a Foo Fighters documentary, called 'Back and Forth Again', which was really awesome and, as you probably imagine, is just about the band, but covers lots of interesting things that have happened along the way. Check it out if you are a fan for sure! I hope you guys have an amazing week. Don't forget to like/follow my Leaf Lane Studio Instagram to stay up to date with all the new things coming out! Thank you, as always, for all the support you have given me with the business and for always stopping by here too; I really appreciate you guys so very much. Eeee how exciting that the cards are being printed I love them! I hope the Spring weather comes soon for you. I adore Goldfinches too, I've strangely seen a few here over the past few weeks which is VERY VERY out of the ordinary! I've never seen one here in 15 years! I hope you have a lovely week Lucy, thank you for brightening my Monday.